Have you ever wondered what the very first Japanese ramen might have tasted like? Or what the atmosphere in a Tokyo ramen shop would have been like in the 1930s? Well, you can actually still come pretty close to experiencing these things today. 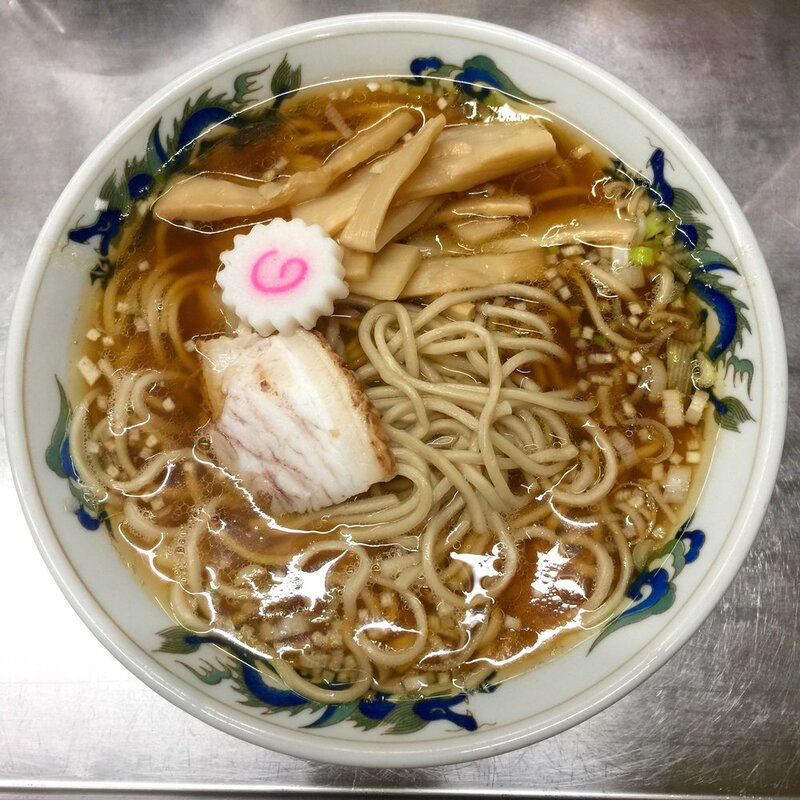 Thanks to Japan’s reverence for mastery and tradition, several legendary shops, whose history dates back to the very beginnings of Tokyo ramen culture, remain fully in operation, with chefs serving the same soup recipes that were invented by their fathers or grandfathers decades ago. Much of Tokyo’s new wave ramen scene is commendably preoccupied with pushing the cuisine forward, using cutting-edge technique and ever more rarified ingredients. Although these old school shops may seem simple by comparison, we tend to hold them in high regard. There is often a simplicity at work in these bowls that is plainly profound. And knowing that they are the roots of Japanese ramen culture, you can't help but marvel at your meal. After all, if the recipe hasn’t changed for decades, there’s probably a very good reason for that. 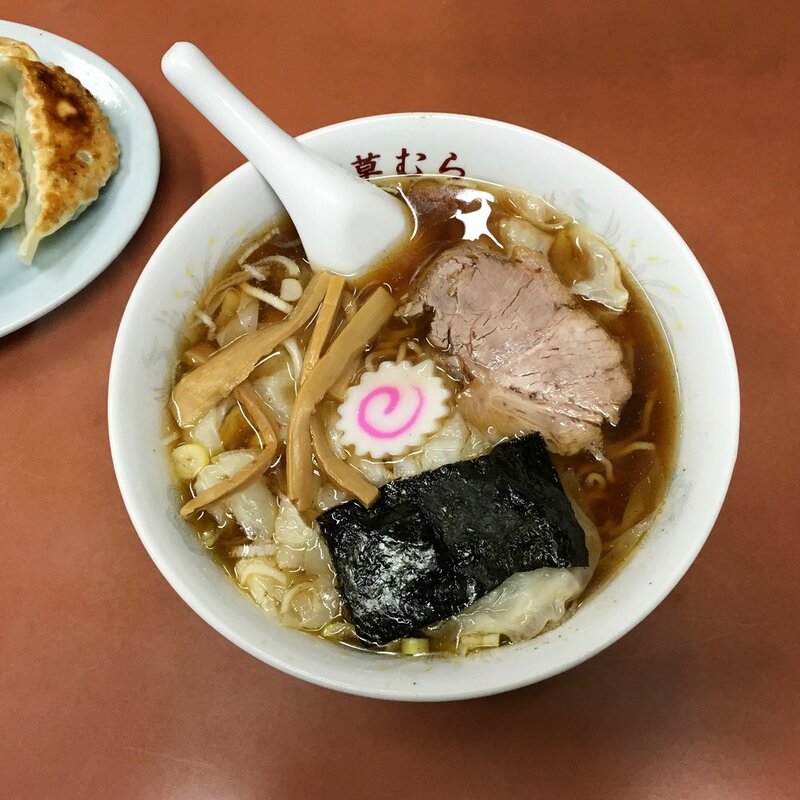 Here are seven of our favorite semi-ancient ramen shops in Tokyo — step through their entryways for a peek into the past; sip their soup to quite literally taste history. Various trinkets, movie posters and dusty relics adorn the interior, which looks and smells like a portal to another era. The lone eccentric master keeps odd hours, boils noodles in a large wok, and is always up for a good conversation. You go here for the atmosphere, and what a unique atmosphere it is. 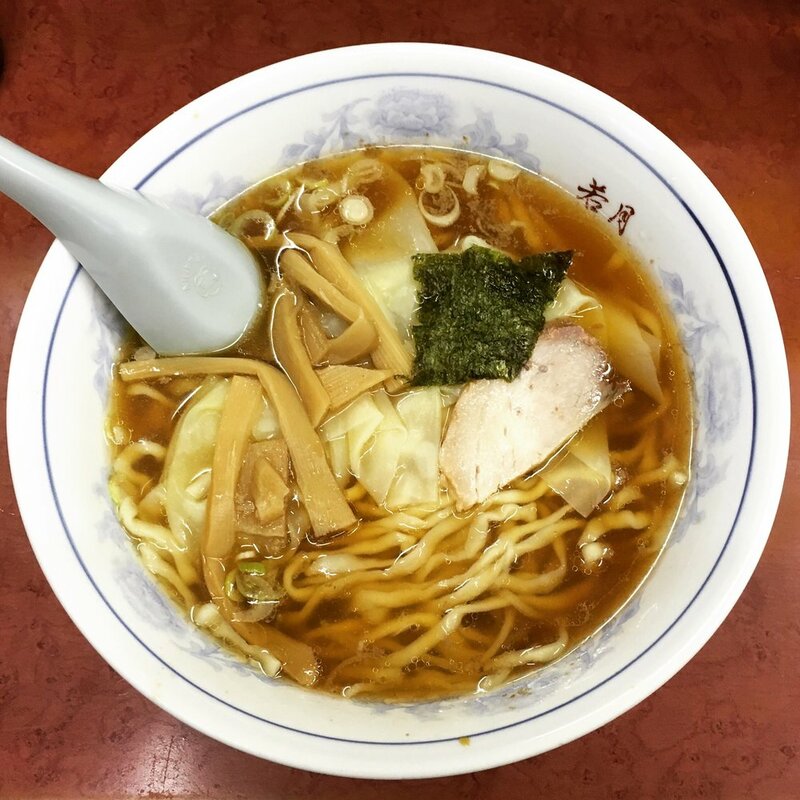 Family run for generations, a bowl of the standard ramen will set you back just 430 yen. Clear soup made from katsuo, niboshi, kombu, chicken bones and pork bones. Old school-style served with a side of fried rice. Kusumara, or “The Bush”, is a nostalgic, family-owned shop stretching back generations. Simple ramen noodles go into a clear, katsuo-heavy soup, ladled out of a pot that looks like it’s been in use for decades. The gyoza are outstanding, thick and plump, packed full of veggies and meat. Usually frequented by regular customers who live nearby. 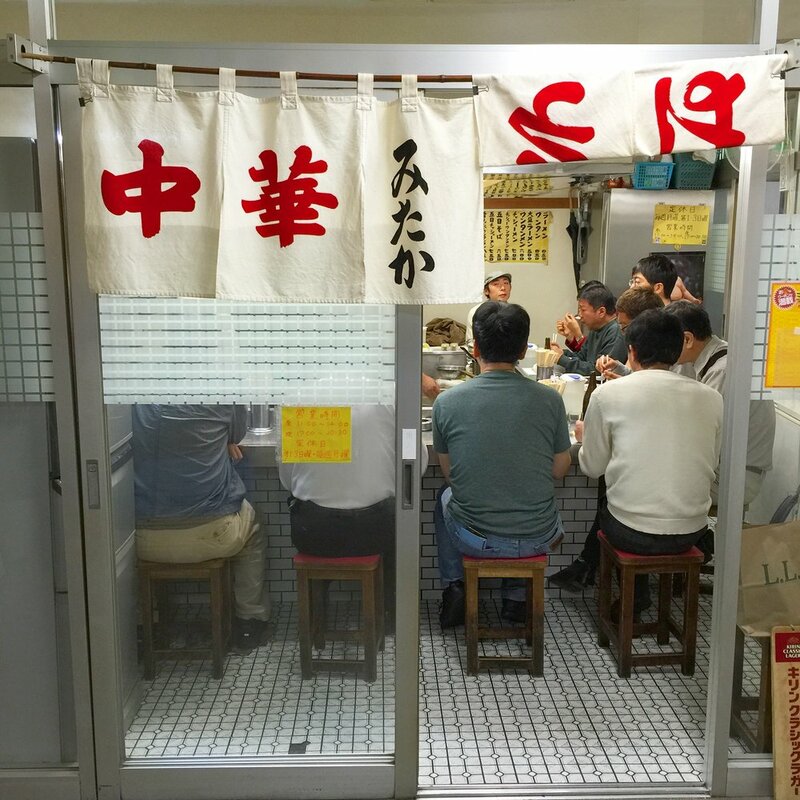 A legendary old school Ogikubou shop with deep ramen and tsukemen lineage. Many of the customers that line up here have been coming for multiple decades. Shoyu tsukemen with a soup made from chicken, pork & vegetables. Shumai on the side. Only open for lunch for just a few hours a day. Walking by this sparsely decorated shop, one might not realize the history dates back to 1945. Shoyu ramen, curry rice, and a popular hiyashi-chuka available in the hot summer months. Super simple fare; eating here will feel like a trip back in time. Located under the train tracks near Yurakucho station and family-run for 50 years. The shop went through some minor renovations a few year back but still serves the original master's menu. Clear, 100% pork-based shoyu soup with medium curly noodles and cha-han on the side.